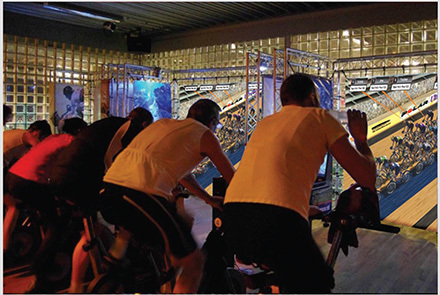 Group workouts are one of the most effective ways to improve individual fitness results and the number-one reason that 60 percent of members join and remain with a fitness center. 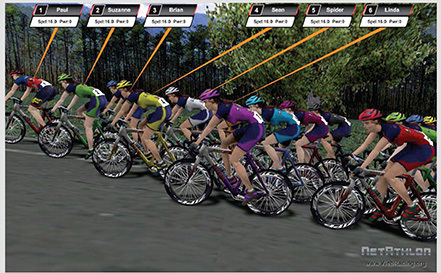 Web Racing transforms up to 32 cyclers into interactive onscreen avatars, allowing them to ride as a group along virtual courses. 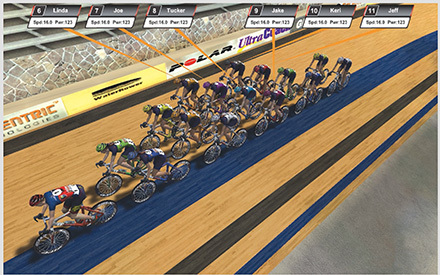 Riders efforts correlate one-to-one with their avatars on screen. As part of a group, cyclers choose to hang with the pack or push out to the lead - either way, no one pulls too far ahead or falls too far behind.